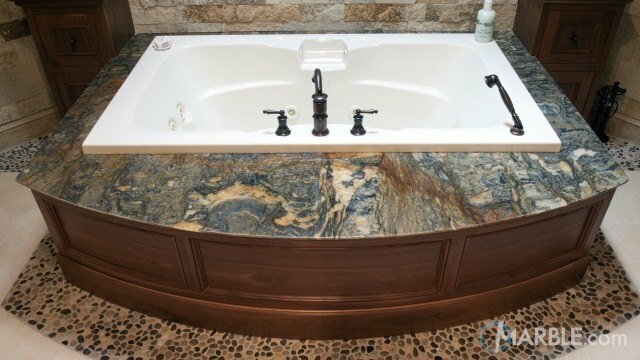 Blue Fire is a premium granite with a busy combination of bluish grey, beige, brown, black, and gold veins and swirling clusters. The gold and silver flakes glitter elegantly in the light. 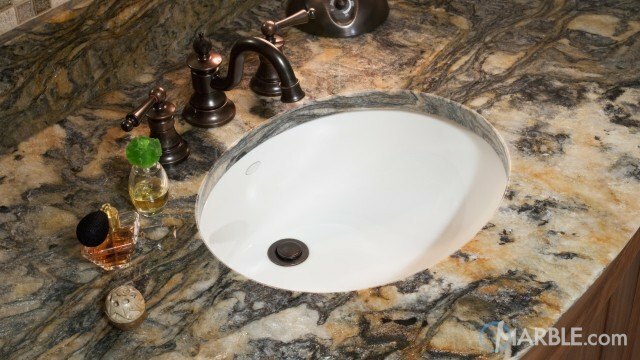 It is an attractive choice for kitchen countertops, bathroom vanities, bar tops, fireplace surrounds, and outdoor kitchens.